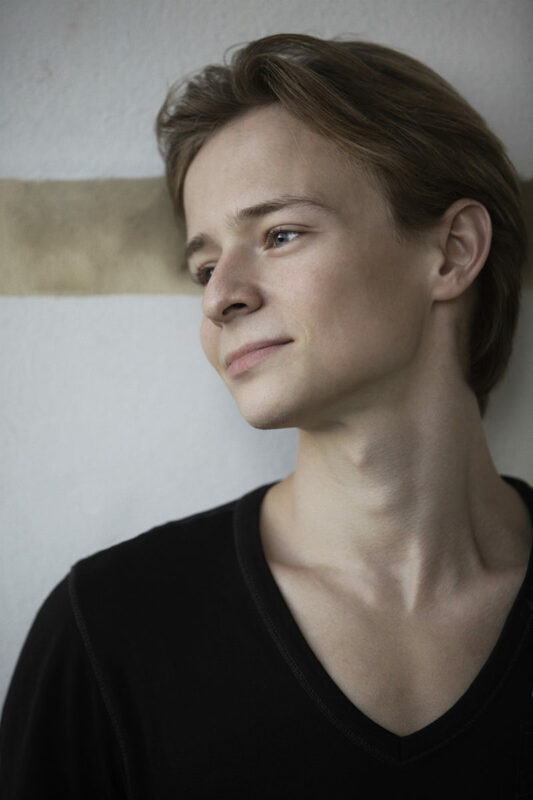 Daniil Simkin was born in Russia to a ballet family. In 1990, the family left for the West and, after several international engagements, settled in Wiesbaden, Germany, where Simkin first appeared on the stage. From the age of six he often appeared onstage, dancing alongside his father Dmitrij Simkin. Simkin joined American Ballet Theatre as a Soloist in October 2008 and was promoted to Principal Dancer in November 2012. His repertoire with the Company includes the Bronze Idol in La Bayadère, Ballet Dancer in The Bright Stream, Franz in Coppélia, Ali, the slave and Lankendem in Le Corsaire, Basilio and the Lead Gypsy in Don Quixote, Puck in The Dream, the first sailor in Fancy Free, Albrecht, the Flames of Paris pas de deux, Albrecht and the peasant pas de deux in Giselle, Profiteer in The Green Table, Harlequin in Harlequinade, Lescaut in Manon, Kolia in A Month in the Country, Nutcracker-Prince in Alexei Ratmansky’s The Nutcracker, Lensky in Onegin, the Son in Prodigal Son, Romeo and Benvolio in Romeo and Juliet, Boy With Matted Hair in Shadowplay, Prince Désiré and the Bluebird in The Sleeping Beauty, the Rose in Le Spectre de la Rose, the pas de deux from Stars and Stripes, Prince Siegfried, Benno and the pas de trois in Swan Lake, Gurn in La Sylphide, Eros and a Goat in Sylvia, the Tchaikovsky Pas de Deux, leading roles in AFTERITE, Allegro Brillante, The Brahms-Haydn Variations, I Feel The Earth Move, Monotones I, Mozartiana, Piano Concerto #1 and Symphony in C and featured roles in Black Tuesday, Company B, Duets, In the Upper Room, The Leaves Are Fading, One of Three and Sinfonietta. He created the Chinese Dance in Ratmansky’s The Nutcracker, the Bluebird in Alexei Ratmansky’s The Sleeping Beauty, Ariel in The Tempest, The Boy in Whipped Cream and roles in Everything Doesn’t Happen at Once, Serenade After Plato’s Symposium and Troika. 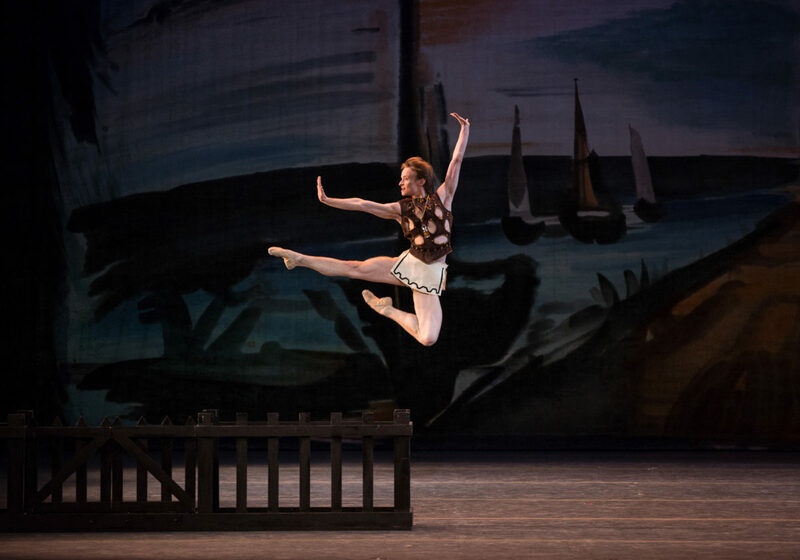 Mr. Simkin’s performances with American Ballet Theatre are sponsored by Sharon Patrick. 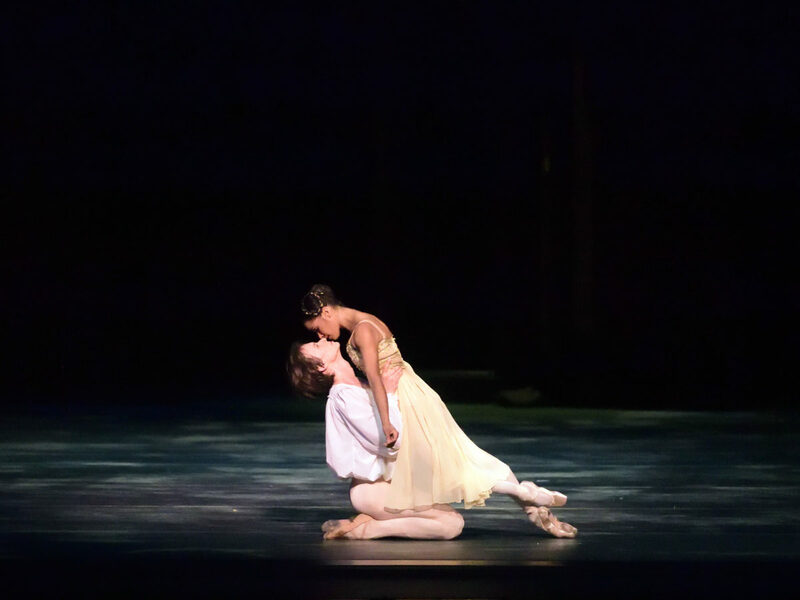 Daniil Simkin and Misty Copeland in Romeo and Juliet. 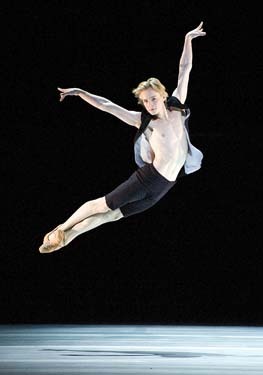 Daniil Simkin in Fancy Free. Daniil Simkin in Prodigal Son © The George Balanchine Trust. 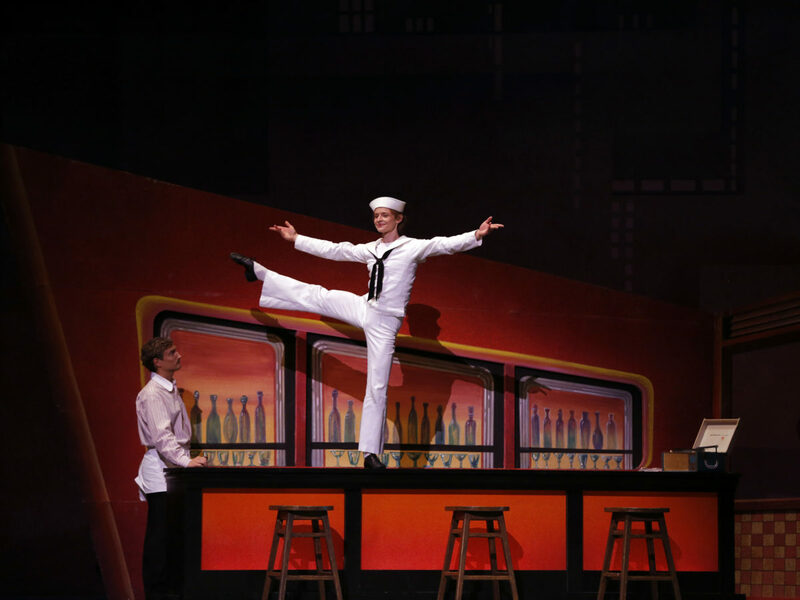 Daniil Simkin in Everything Doesn't Happen at Once.